A cricket umpire could be killed unless the no-ball rule is changed, according to Rod Marsh. The ex-Australia wicketkeeper wants current regulations changed so umpires are able to stand further back. That would give them more time to react if the ball is hit powerfully in their direction. 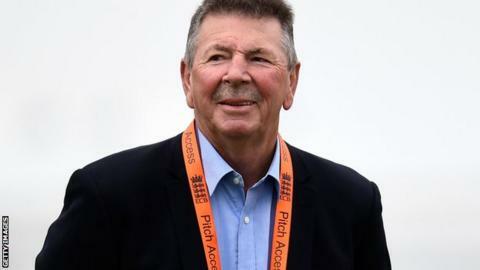 "It's only a matter of time before an umpire in an international or first-class match is seriously hurt, if not killed," Marsh said. The umpire at the bowler's wicket shall call and signal "no ball" if he is not satisfied that in the delivery stride:- (a) the bowler's back foot has landed within and not touching the return crease or its forward extension or (b) some part of the front foot whether grounded or raised was behind the popping crease. Speaking at the annual MCC Spirit of Cricket Cowdrey Lecture, the 67-year-old believes that big hitting in the Twenty20 game has made it more dangerous for umpires. "You put yourself in the umpire's position when a batsman with a massive weapon runs at the bowler and smashes a straight drive at about chest height," added Marsh. "I, for one, would want to be standing back as far as possible. "By reverting to the back-foot law (dispensed with in 1963), the umpire has a chance to stand at least two metres further back. "If I happened to be umpiring right now, I'd be wearing a baseball helmet, a chest pad, shin guards and an abdominal protector. "Maybe we have to make this safety gear for umpires compulsory for all international and first-class games." The 25 first-class umpires are set to discuss safety concerns at their end-of-season meeting this month. Long-serving umpire Rob Bailey said: "A lot of people are in danger. Bats are massive now and are only going to become more powerful and the ball is pinging off them. Fortunately no-one has been badly hit." Australia batsman Phillip Hughes died, aged 25, after being struck on the top of the neck by a short-pitched ball during a match last November.